L'Aunisceane la Tranche sur mer. 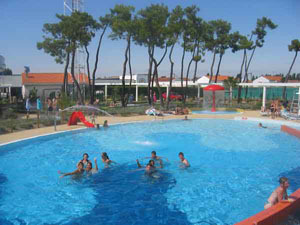 The Aunisceane, a pool complex by the coast at La trenche sur mer in the south Vendee is open all year round with water temperatures of 29º. There is a large indoor pool of 370m² and an outdoor fun pool of 250m²,large waterslide, two paddling pools, bubble bench, slow flowing river, water cannon and beach volleyball area. 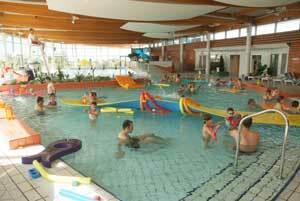 Children and adults alike will find hours of enjoyment. The Aunisceane also offers the opportunity to get that sense of well being with its "VIP relaxation area", which consists of jacuzzi, Hammam (steam room) and sauna. During special events through out the year,eg. 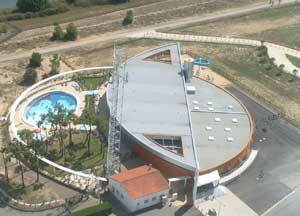 Aquanoctambulles evening sessions, cine-picine film events, aquatic karaoke and many others the water is heated to 32º.